A book full of detailed guidance, examples and tips for maximising your marks on your science Internal Assessments! What is the Internal Assessment? 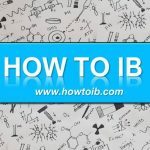 Every student in the IB DP needs to complete an Internal Assessment (IA) for every subject. For the sciences, biology, chemistry and physics, the format is different from all the other subjects. In the sciences, you are required to design your own experiment, and write a full report on it. This 6 to 12 page report, is graded using 5 criteria. 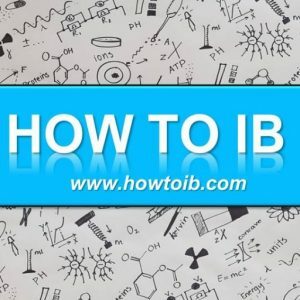 The reports will be graded internally, and moderated externally by the IB. The Internal Assessment is completed before the start of the exams, and counts for a 20% of your final grade, so it is a significant part of the curriculum! 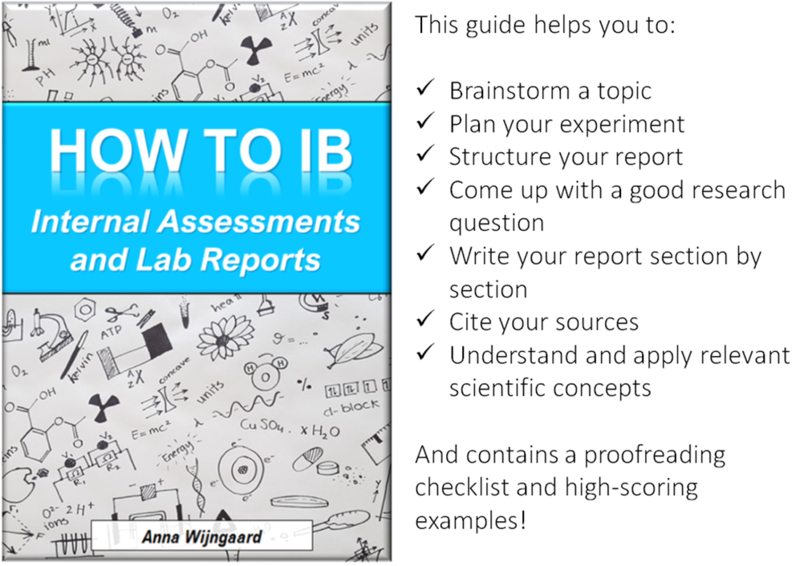 The How to IB guide on writing IA’s and lab reports goes through all the steps of writing an Internal Assessment in the new IB science curriculum. It starts from the very basics (how to come up with a good topic, brainstorming experiments, structuring your report, etc.) and takes you until the very last stage to help you proofread your work. This guide will go chronologically through the whole process, giving you detailed guidance on what to do and how to write up each section of the report. The guide also contains good example Internal Assessments for your reference, and explains fundamental scientific concepts you can apply in your IA, such as calculations with uncertainties, correlations and more! Whether you are studying biology, chemistry, physics, or multiple sciences, at higher or standard level, this book will guide you through! Get the guide for €24,95! For convenience, the shipping costs will be added automatically. Please select the correct one from below. You will be asked to fill in address details later on. And contains a proofreading checklist and high-scoring examples!